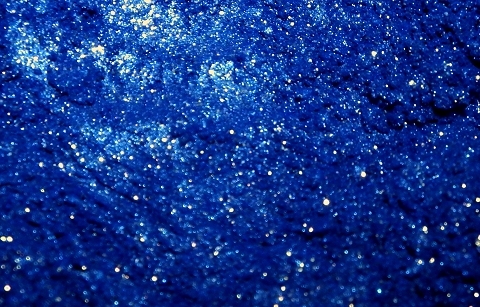 Velvety, vibrant, shimmering blue is enhanced with gold sparkle. Not lip-safe. Not very dreary, but could be nice to don while pondering over volumes of forgotten lore.